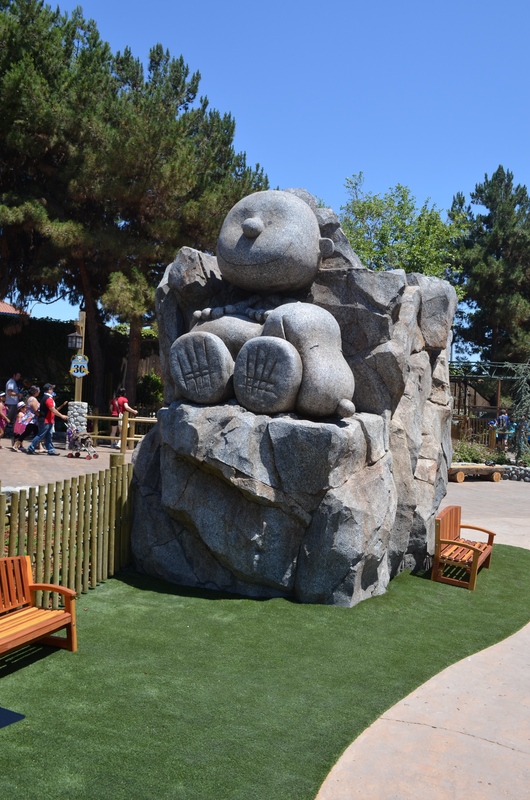 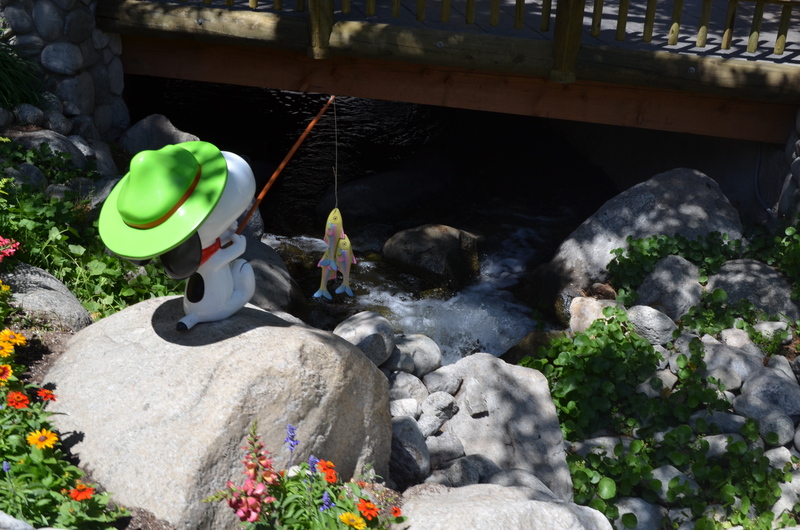 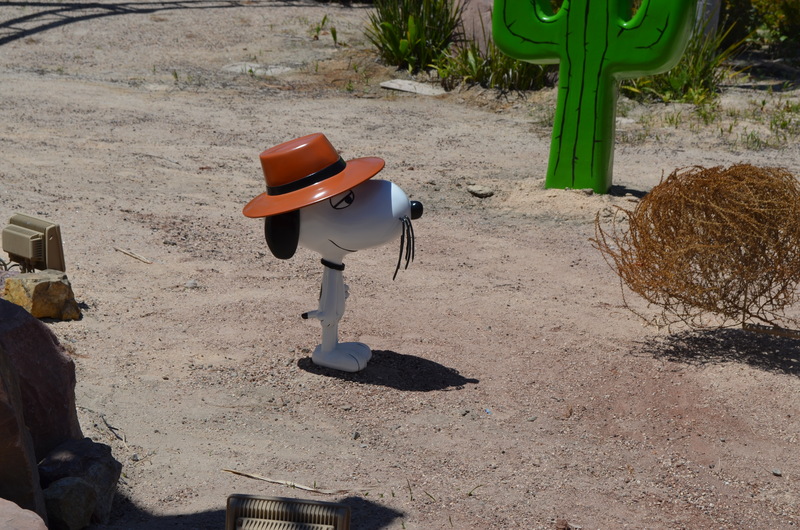 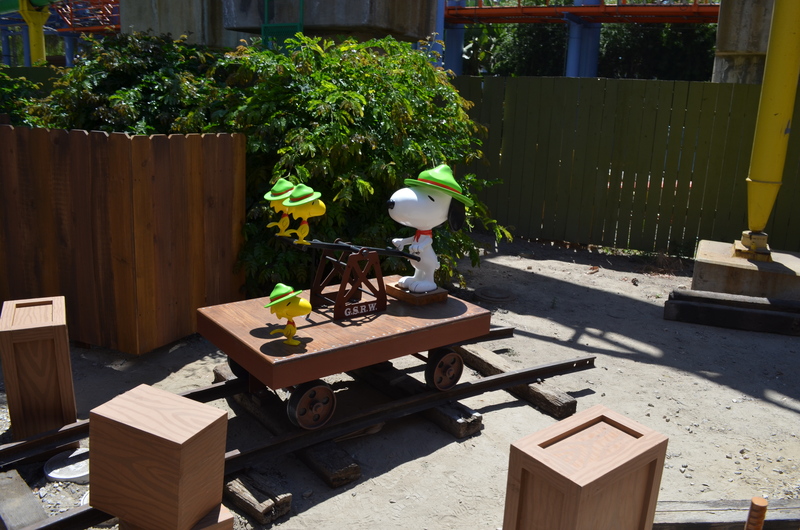 Knott’s Berry Farm reopened the world famous Calico Mine Ride and their kid friendly land, Camp Snoopy. 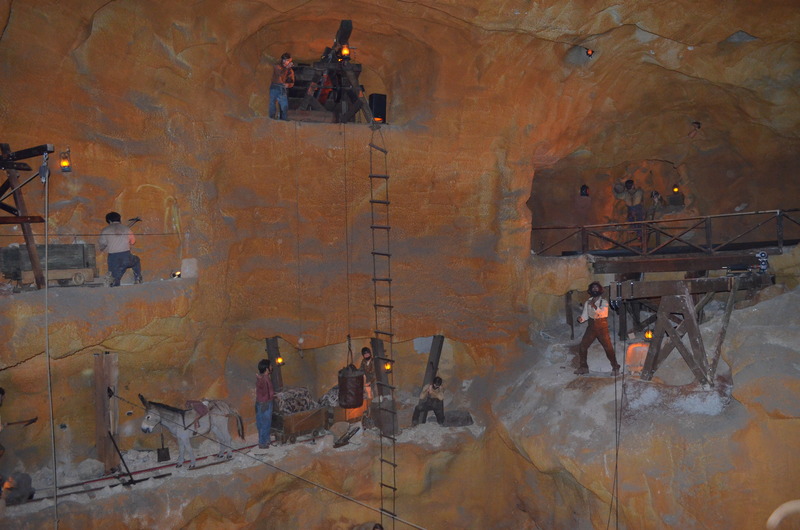 The Calico Mine Ride originally opened in 1960 and was constructed by Bud Hurlbut. 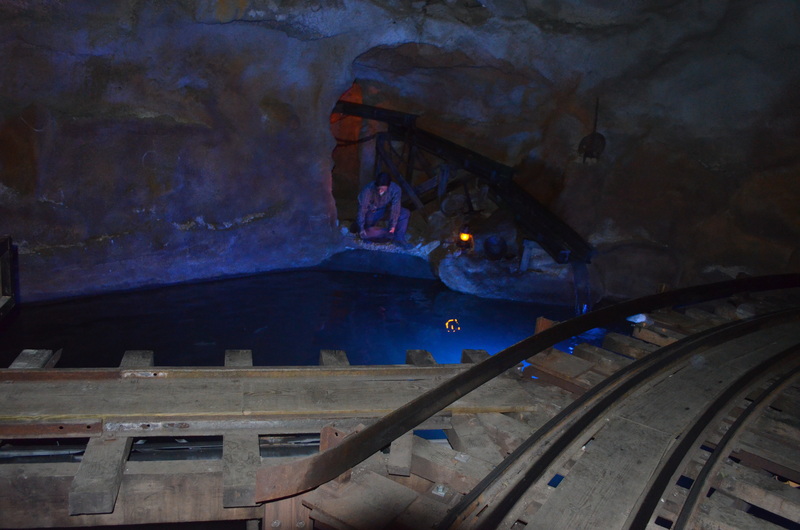 The dark ride takes guests into the massive caverns of the Calico Mine. 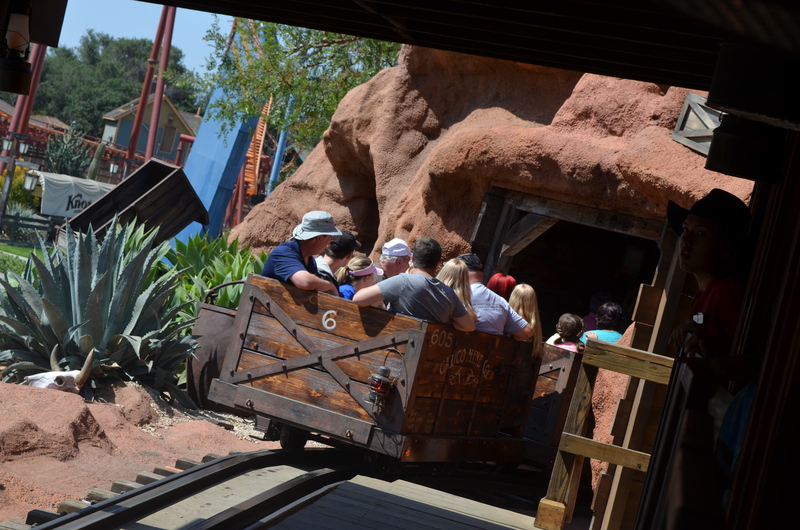 The nearby Timber Mountain Log Ride got a massive refurbishment last year and this year the Calico Mine Ride got the same treatment. 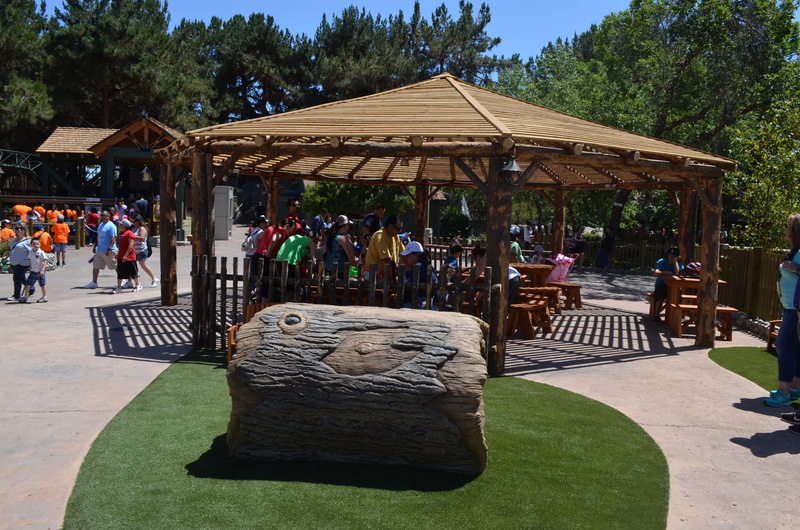 Here is a video and some photos from the reopening ceremony. 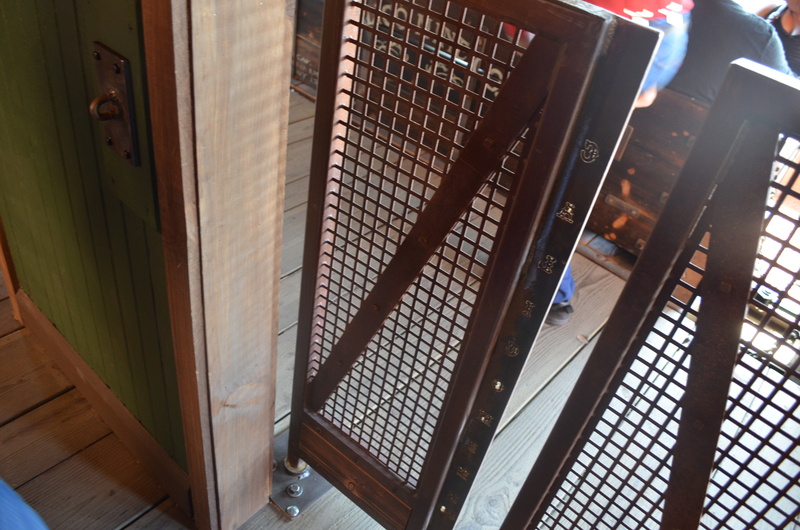 The loading area now features air gates, and a peek in of an office. 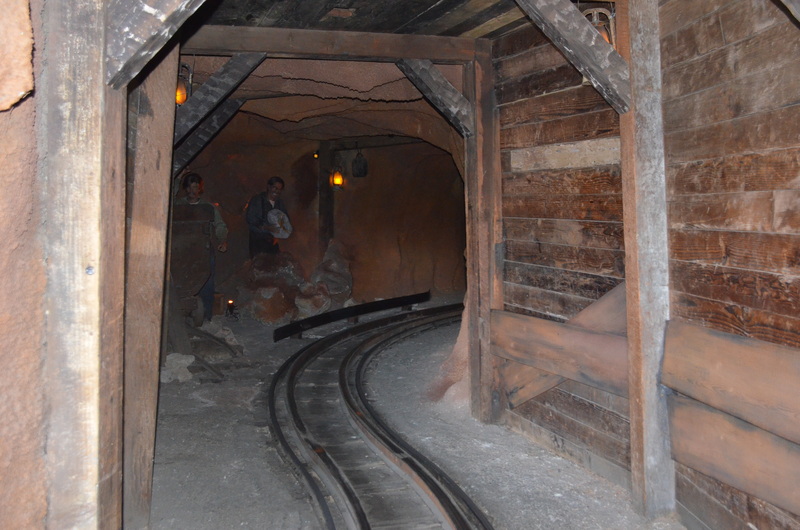 The attraction now features three different narrations from miners. 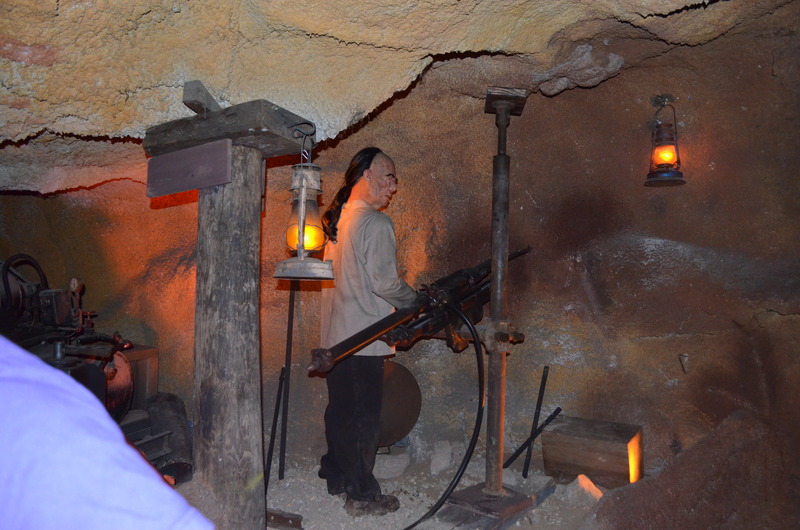 A new figure greets us as we make our way down into the mine. 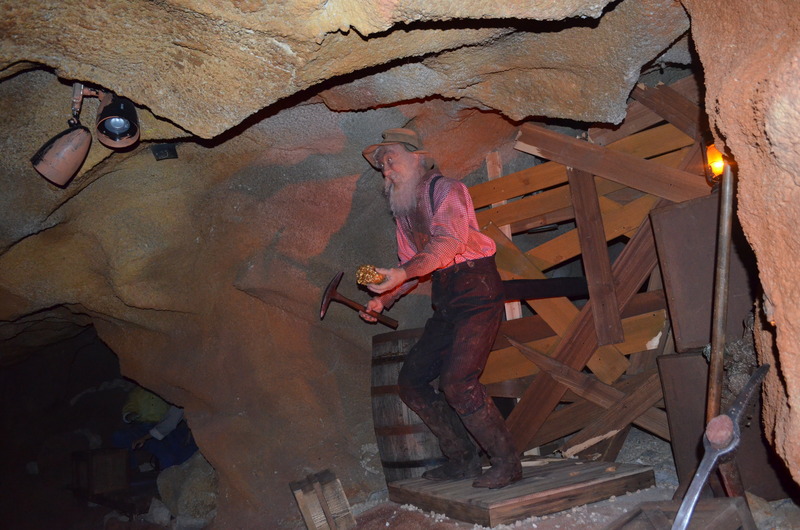 He tells us a bit about mining in the 1800’s. 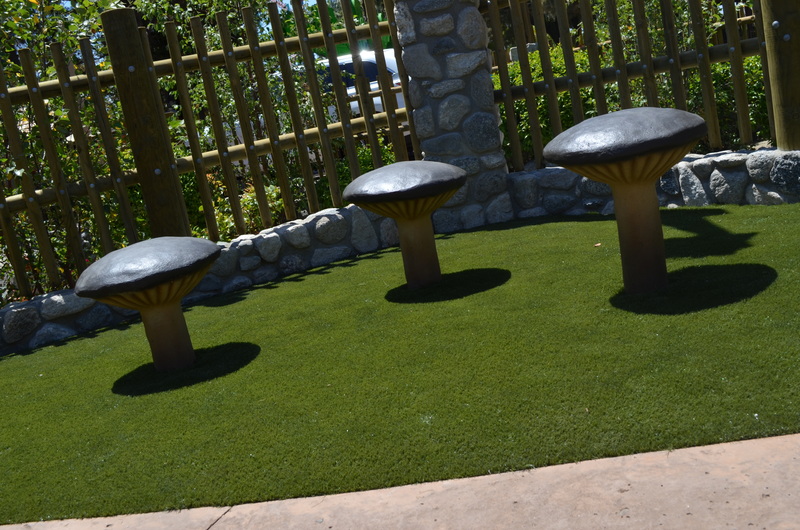 Soon we find ourselves inside the bubbling pot room. 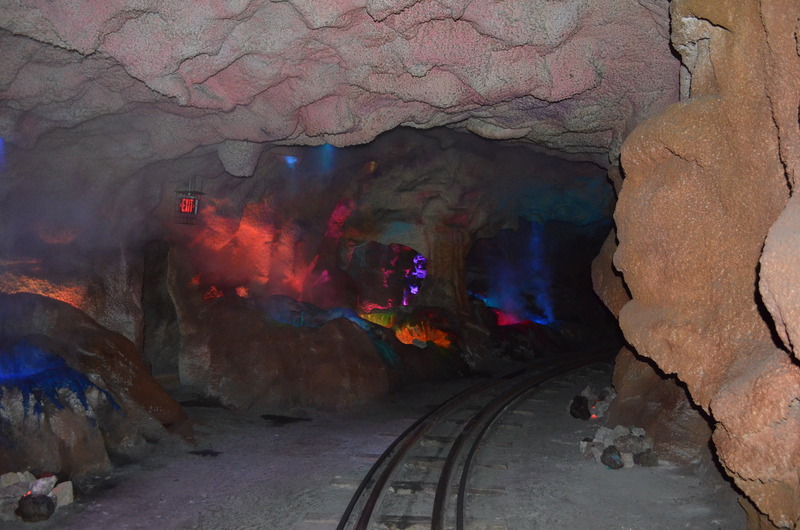 A rainbow of colors and bubbling pots of water emerge from the steamy cave. 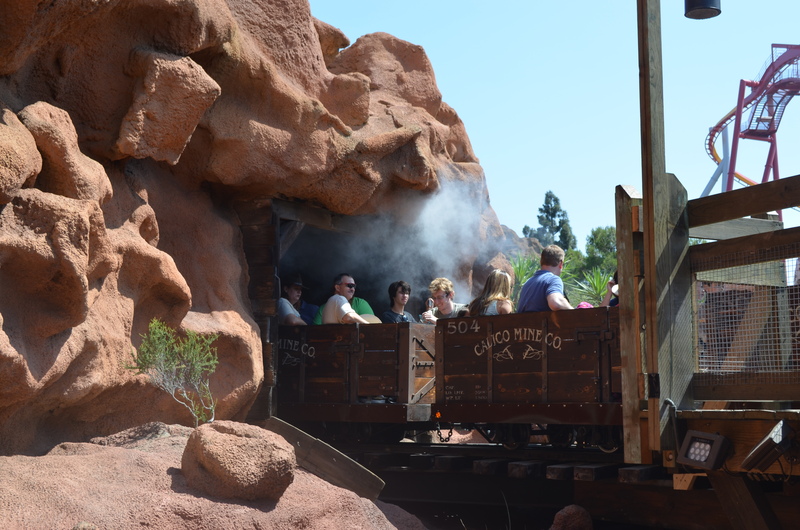 The train begins it’s descent and we have a quick glimpse of the Glory Hole. 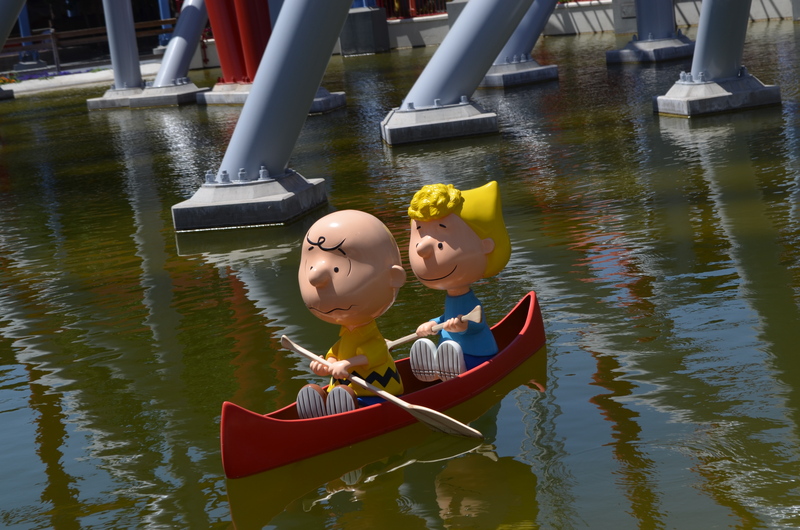 The next scene we visit is the lake room. 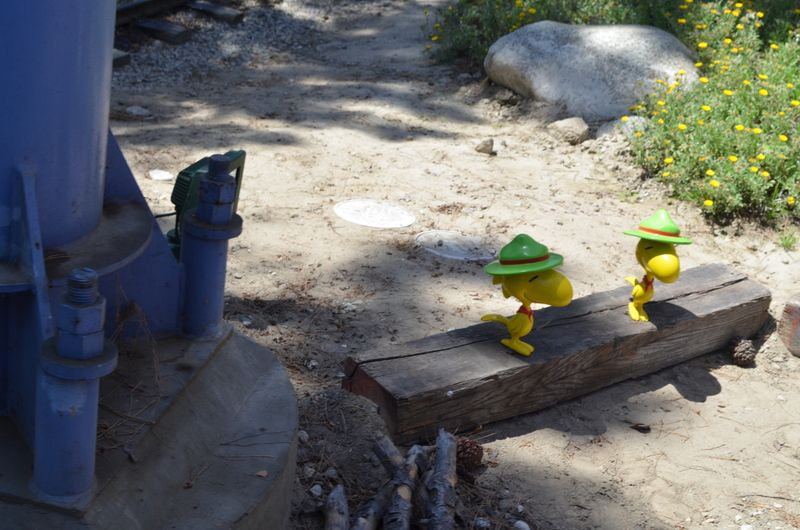 Miners are looking for gold and they are also fishing for dinner. 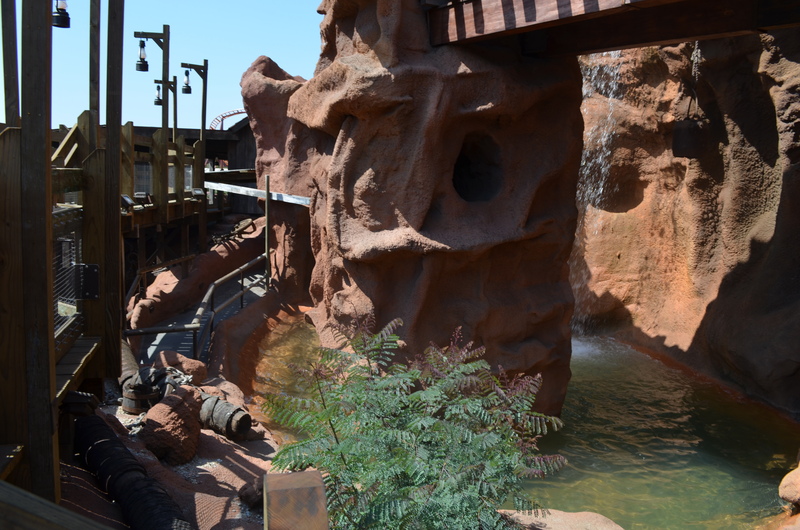 The waterfall room features an animatronic in the water with a hose eroding the cavern walls. 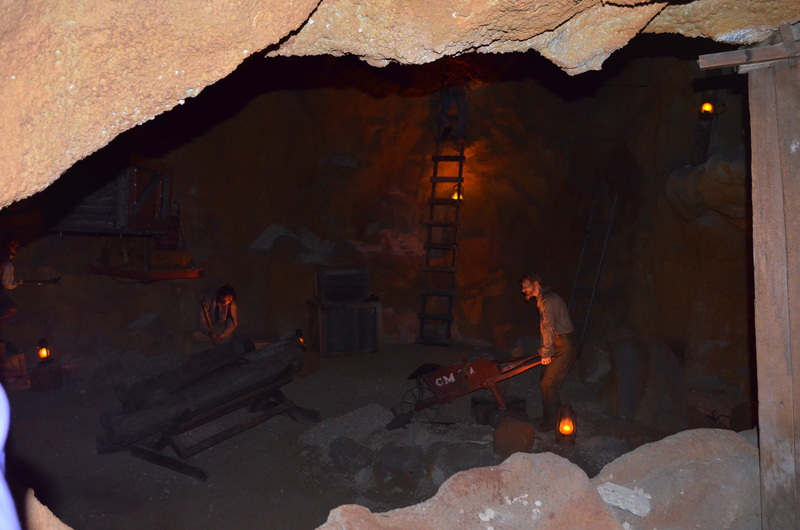 In the square set timbering room, miners are working hard to strike it rich and find some gold. 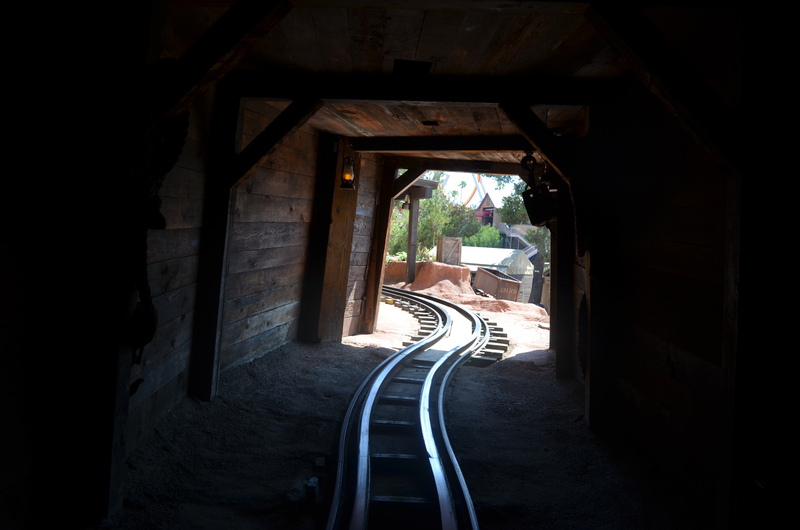 The train is now climbing up the lift and you see a man with a canary. 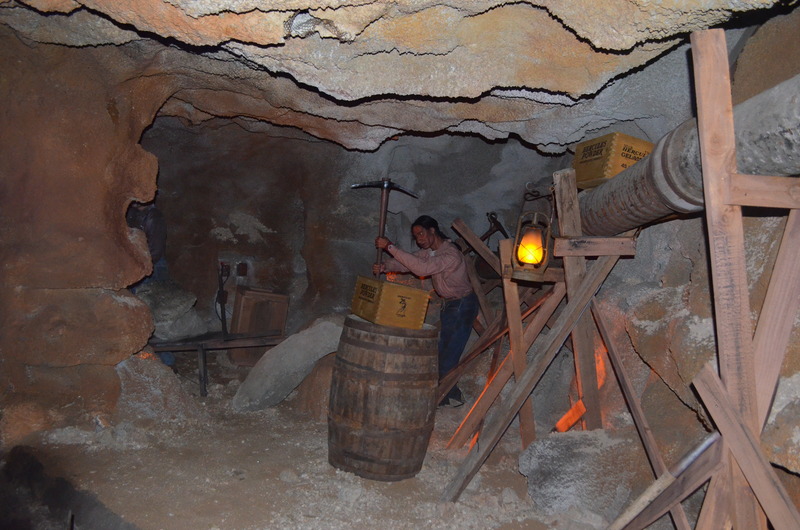 Canaries were used in mining operations to detect the presence of gas. 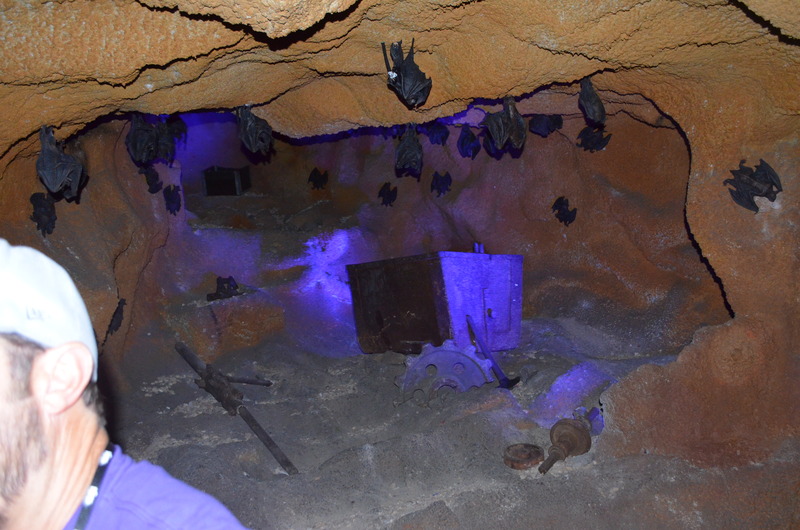 Soon the guests see a cave full of sleeping bats. 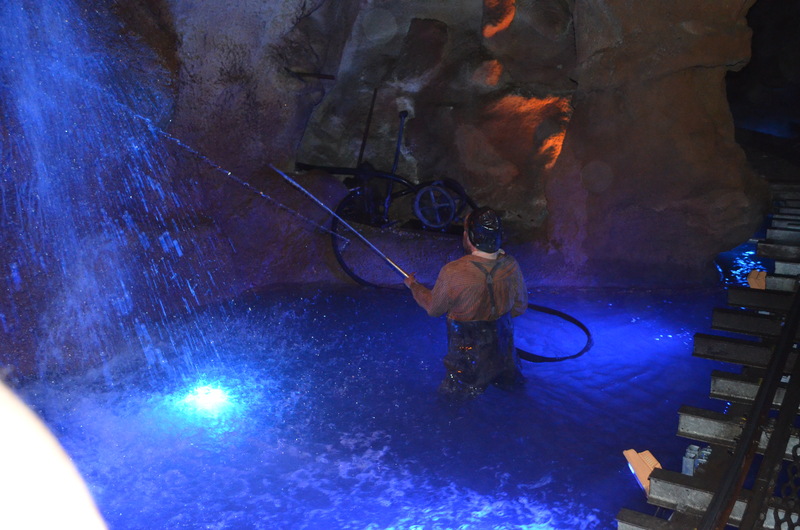 The “Heaven” scene at the top of the lift now has a dramatic reveal as the black light slowly illuminates the stalagmites and stalactites. 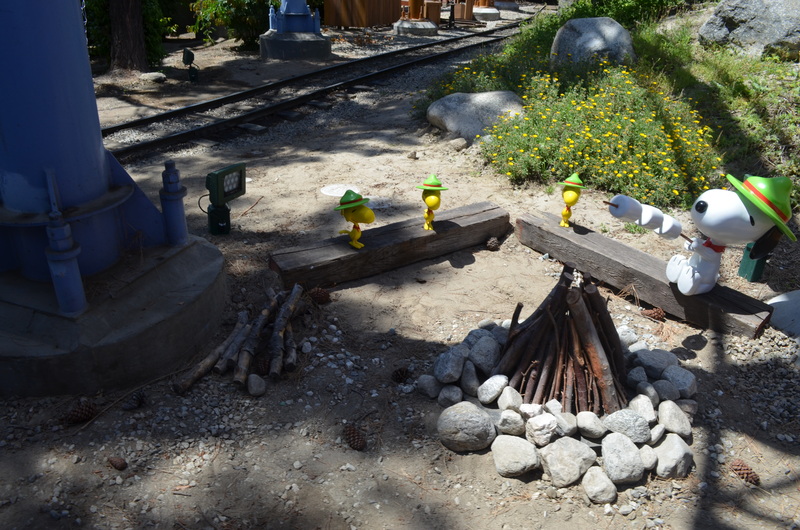 Some lucky miners have found gold and are celebrating. 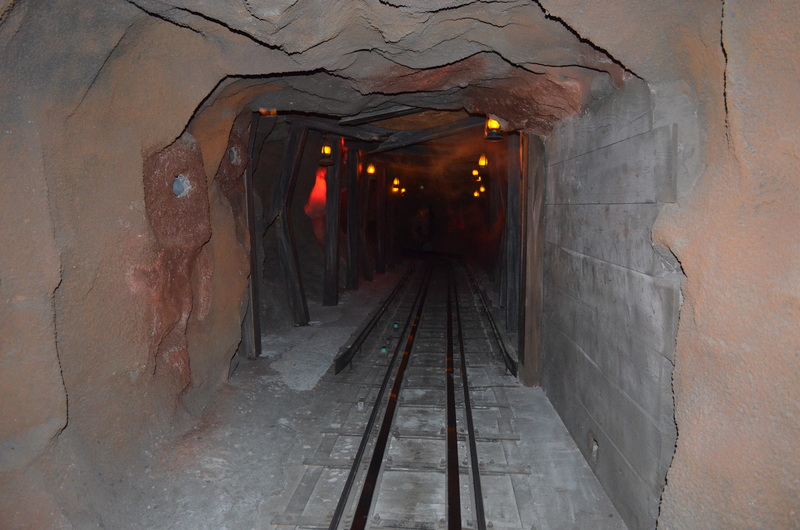 The train passes over the Glory Hole from the upper view and travels over a trestle. 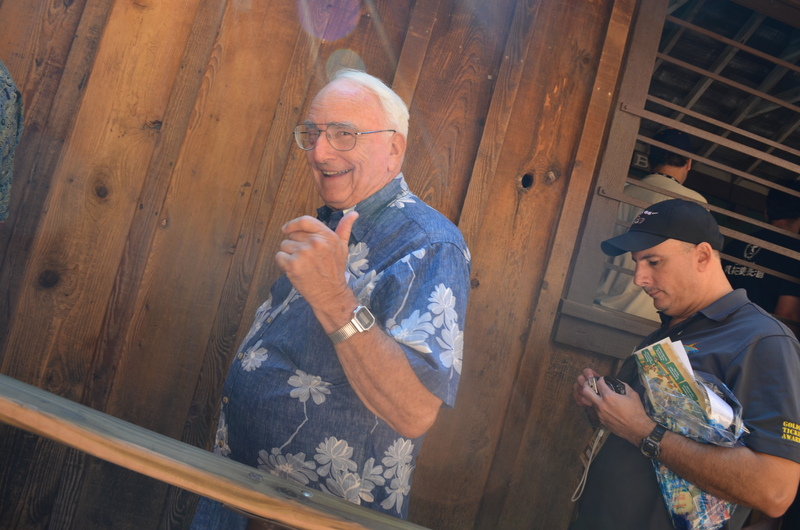 Two vultures are lurking above us as we enter another mine shaft. 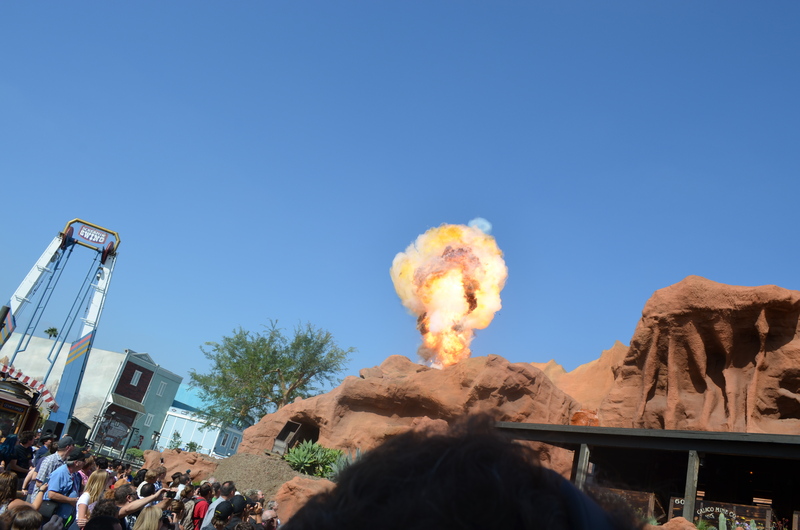 The former explosion tunnel is still there, but has some fantastic new effects that startled many guests. 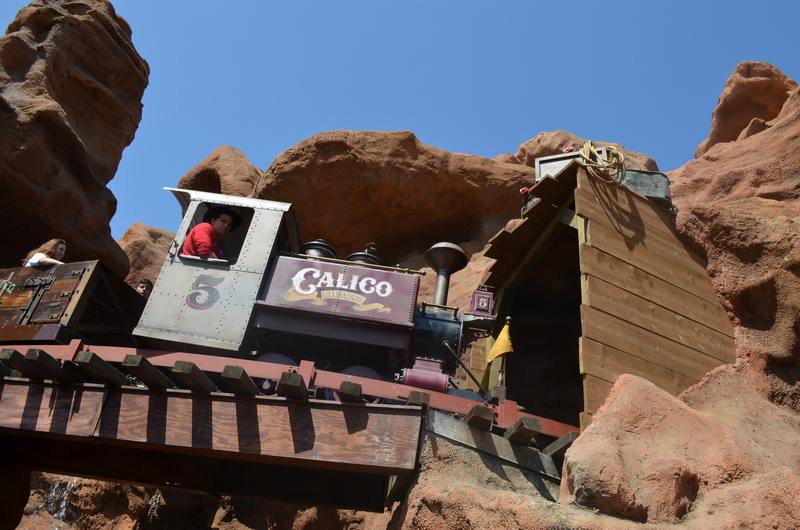 The Calico Mine Ride felt very dead before it’s refurbishment, but now it has sprung to life and fells very realistic with some fun gags along the way. 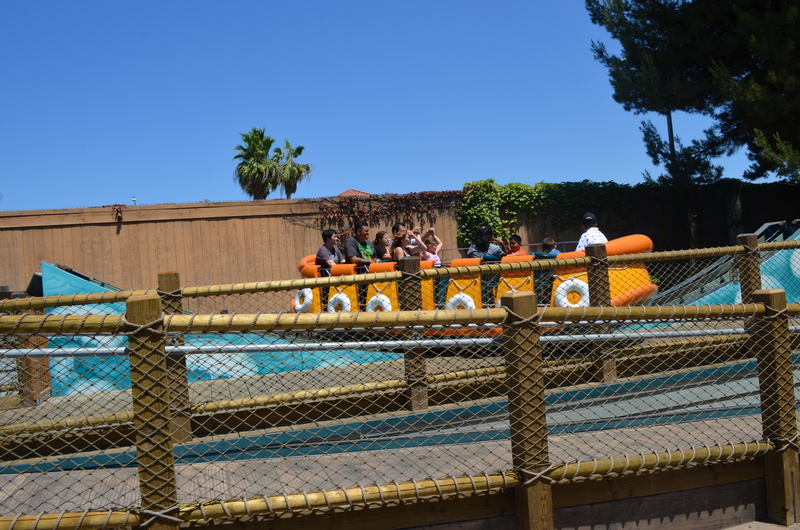 This ride ranks up with Pirates of the Caribbean and Haunted Mansion, it’s one of the best dark rides out there. 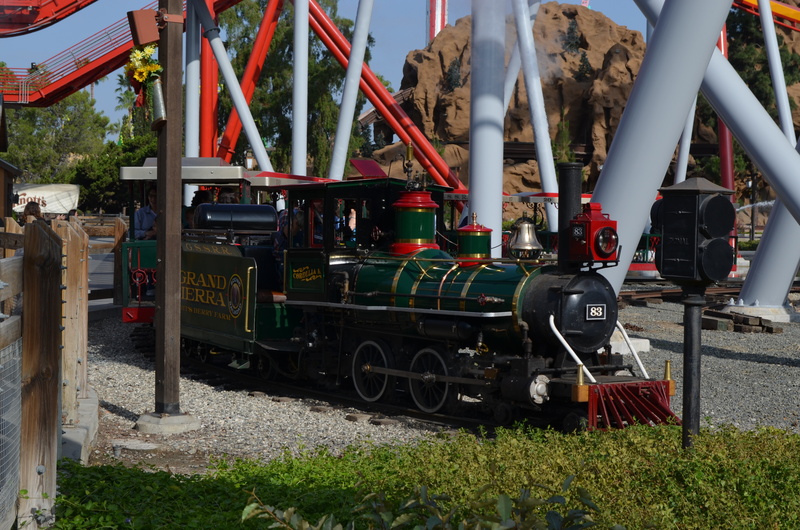 Here is my video of the attraction, its also the second train to go on the refurbished attraction. 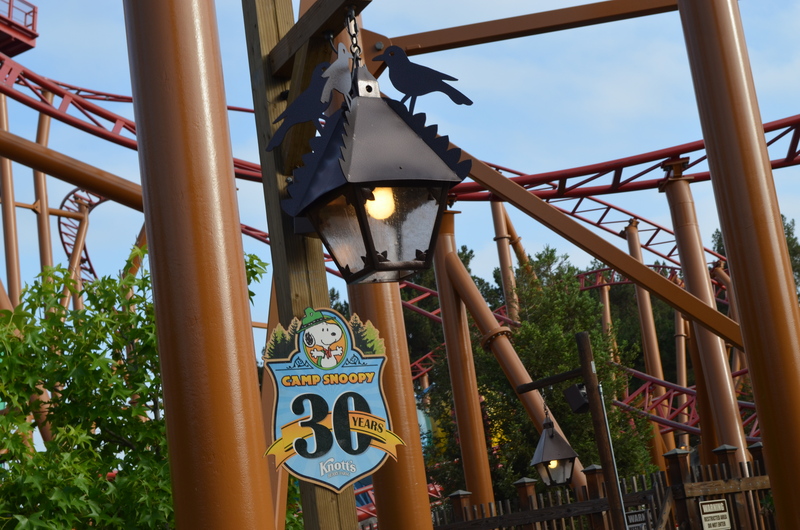 Camp Snoopy is now celebrating 30 years, and received a massive facelift. 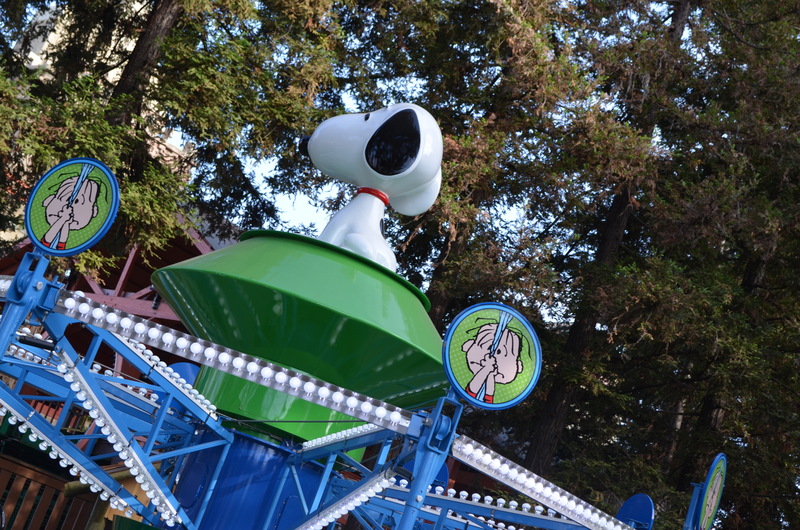 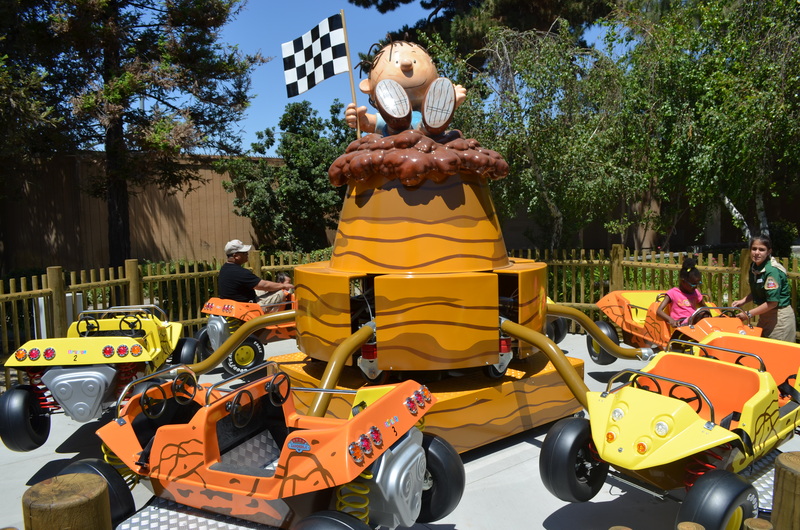 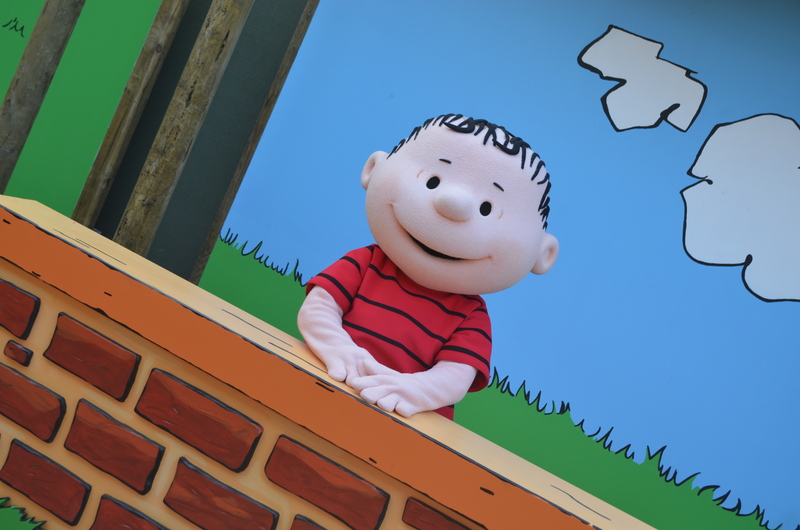 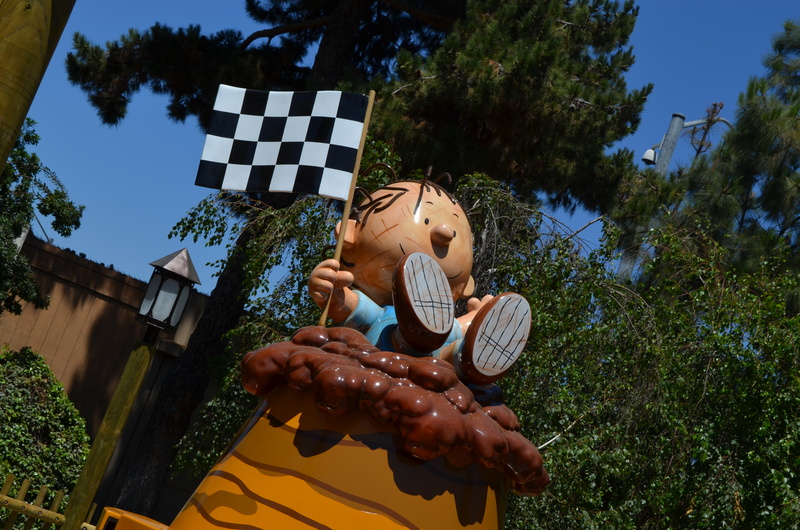 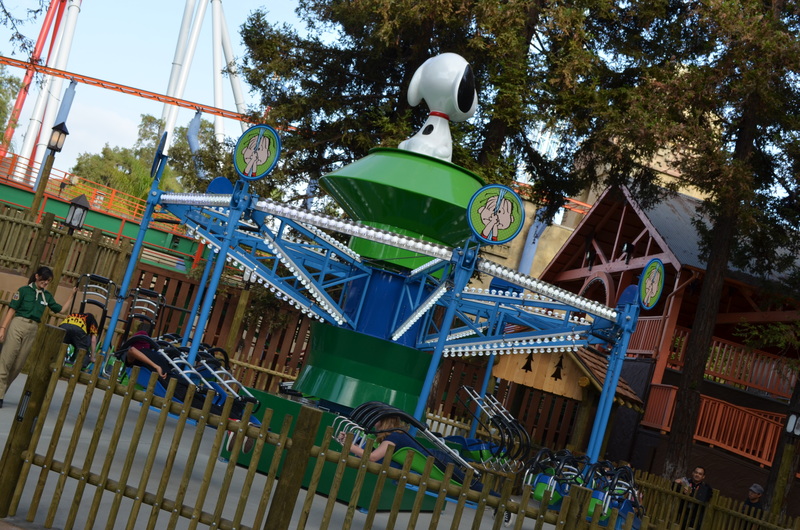 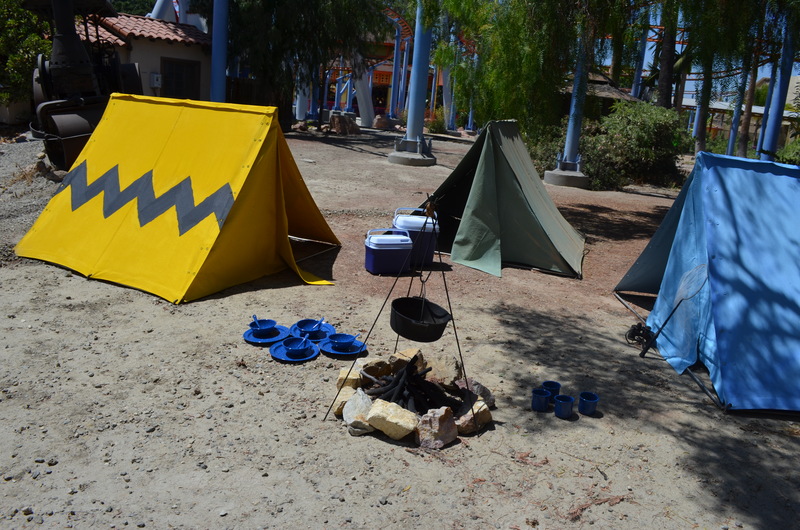 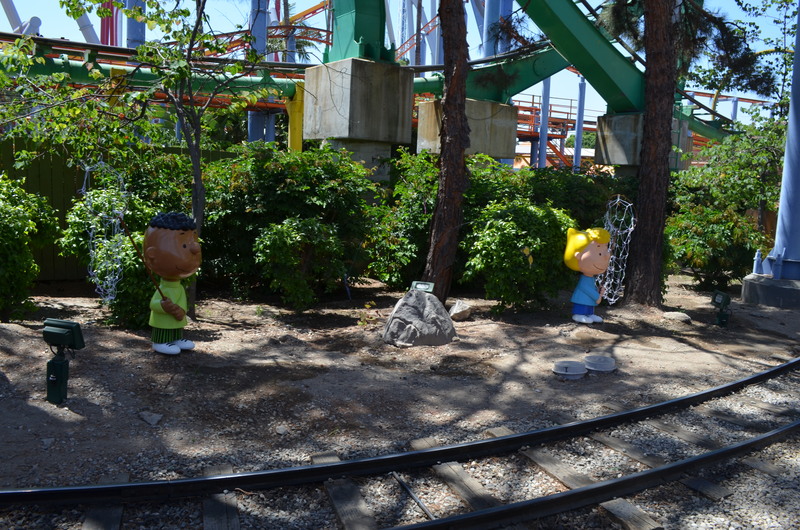 Knott’s added in three new flat rides designed for the kid in all of us, Pig Pen’s Mud Buggies, Charlie Brown’s Kit Flyers, and Linus Launcher. 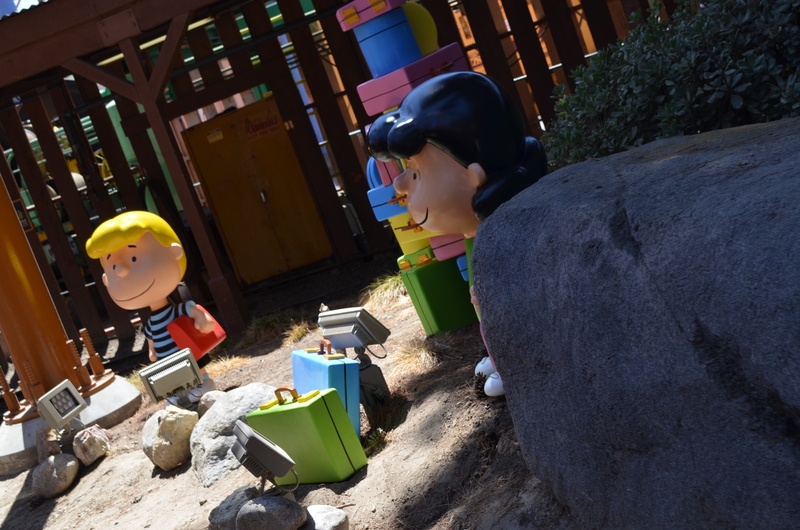 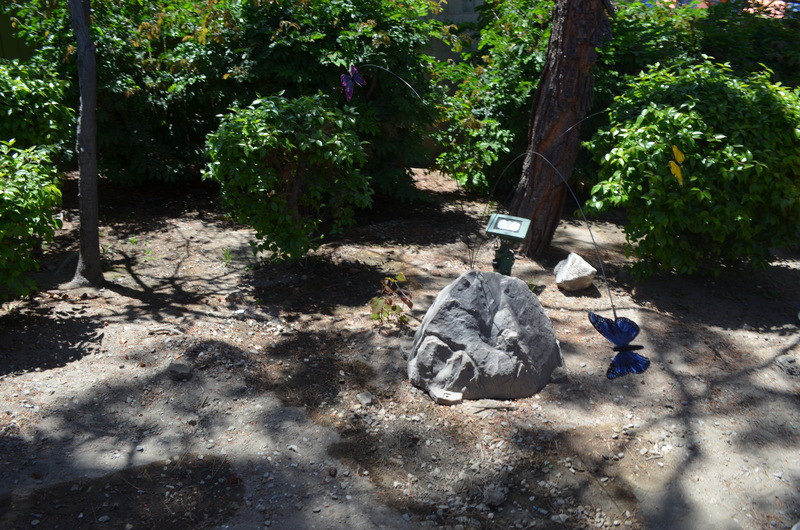 They also gave the land new pavement, a new meet & greet, a play area and gazebo, animated figures built by Garner Holt Productions for the Grand Sierra Railroad, and much more. 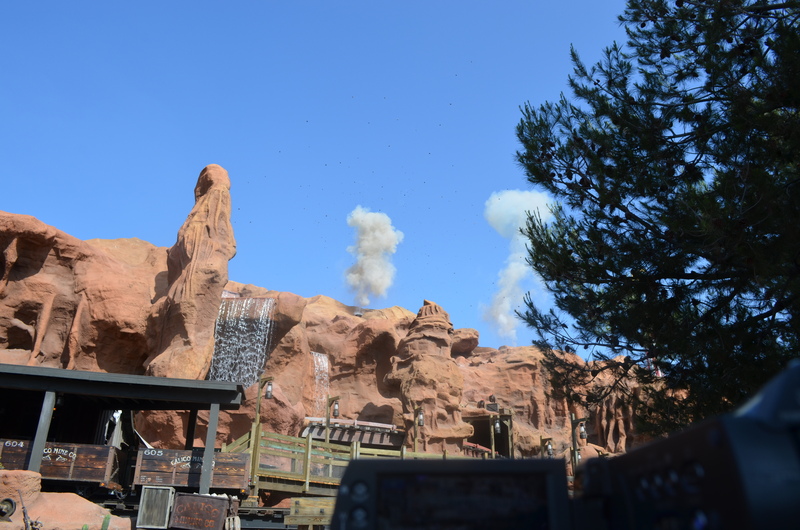 The new additions add in some major place making the land needed for years. 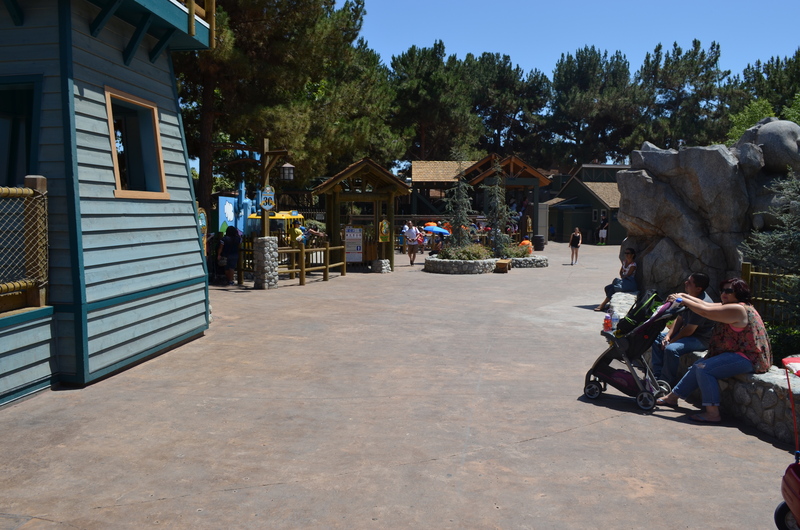 The did this by adding in themed pavement and benches that don’t tell you a story, but give the feel of the High Sierras. 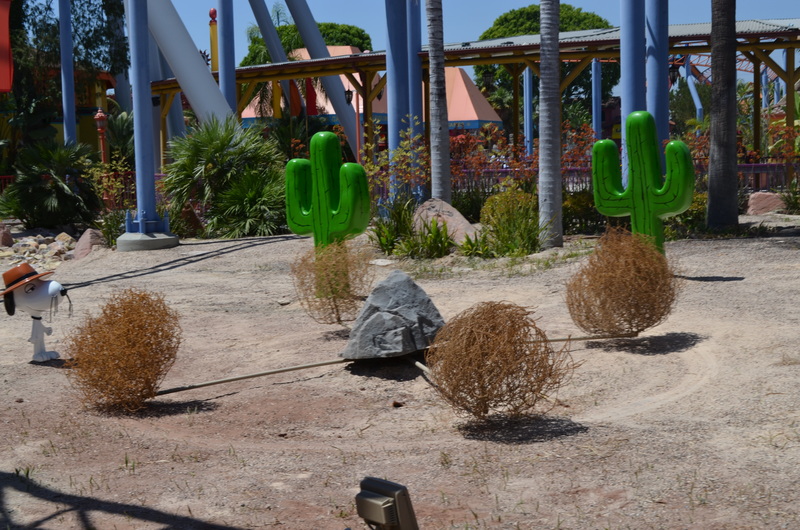 I urge all of you to go out to Knott’s Berry Farm. 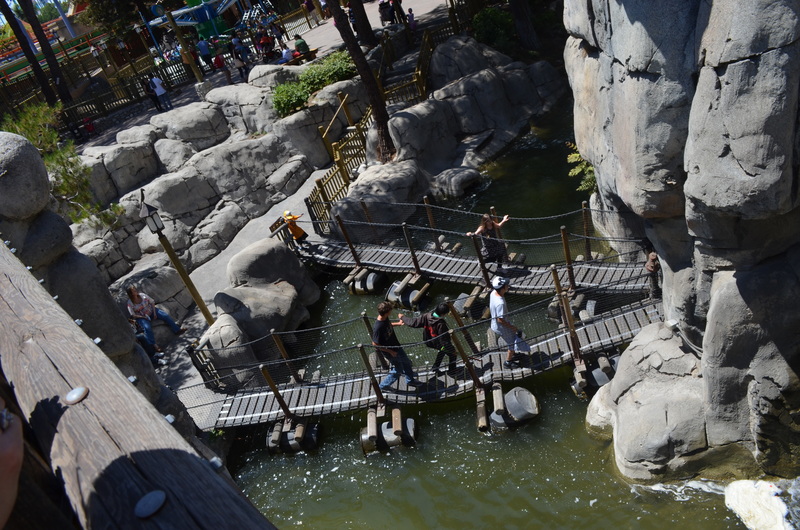 I’d love to thank Josh Mikkelsen, Jason Soyster and Leidy Arevalo for putting on a fantastic event today. 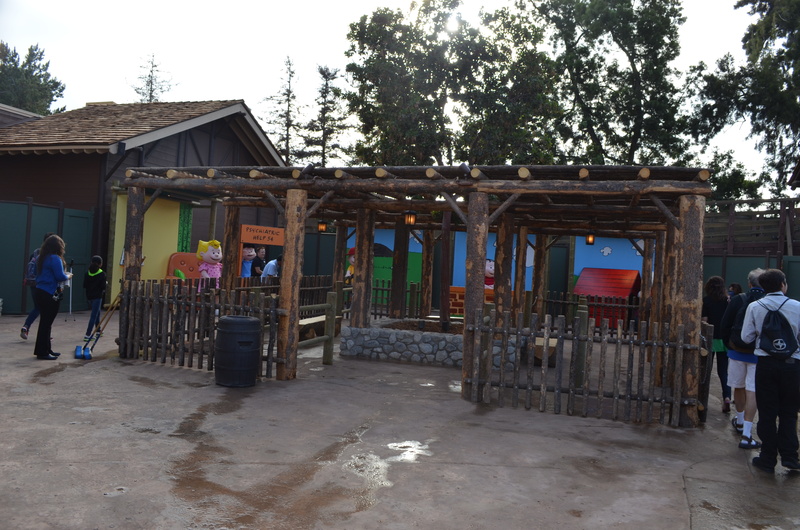 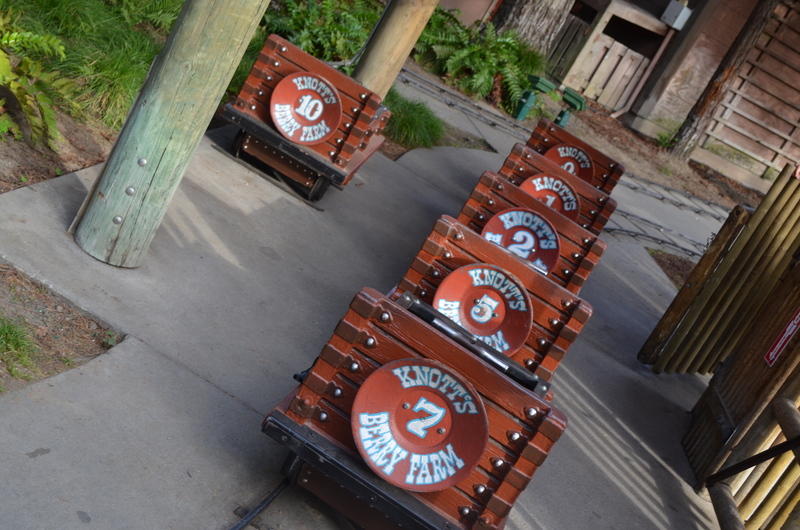 Knott’s has returned to the glory years and is preserving their heritage. 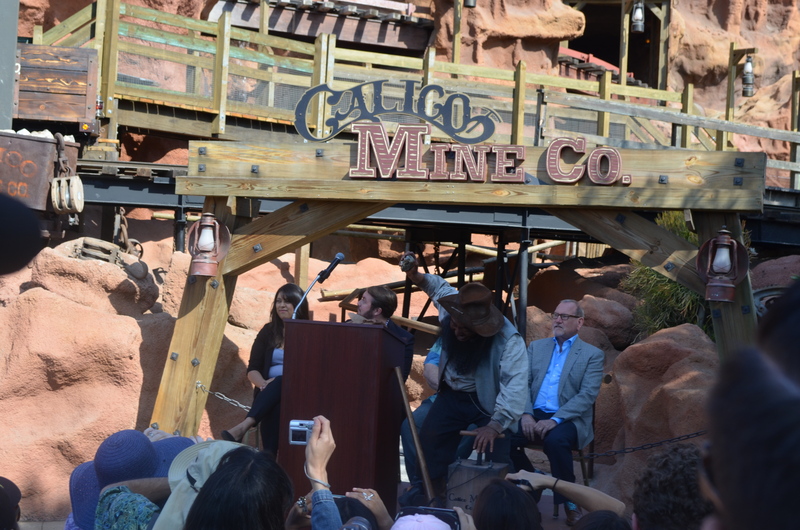 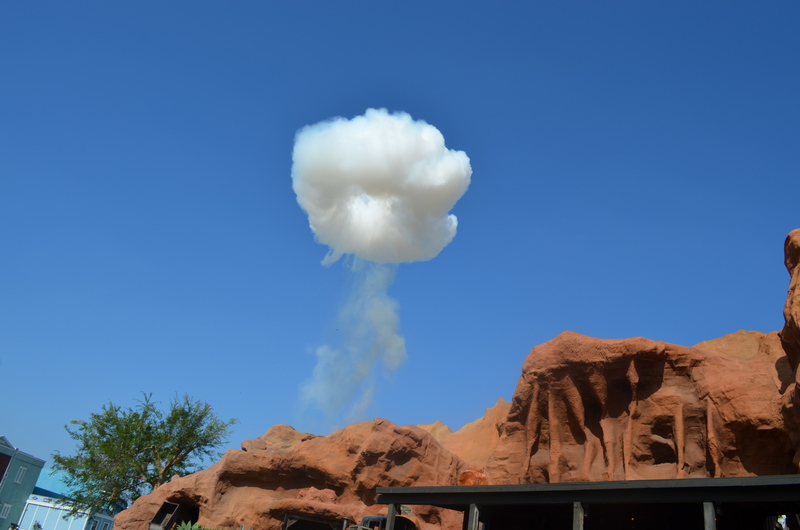 The new Calico Mine Ride and Camp Snoopy are just a snippet of what’s to come. 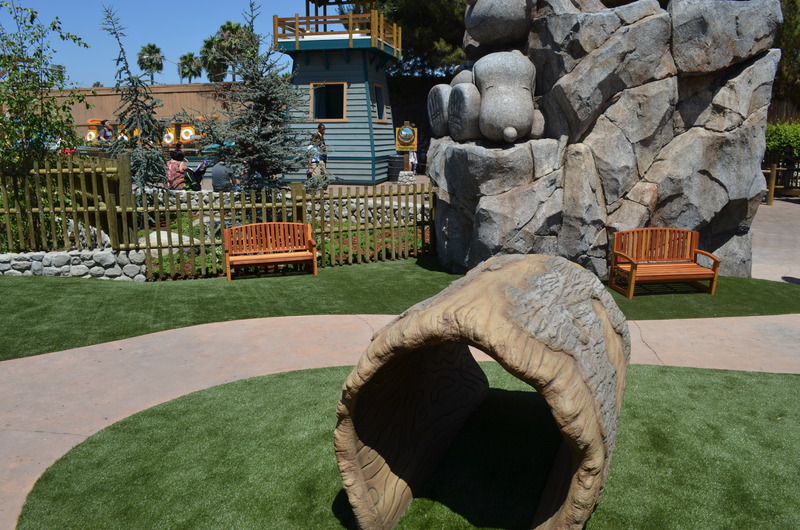 Knott’s General Manager Raffi Karpelyan promised “more interactive and cutting-edge fun in 2015” will be added to the Boardwalk section of the park. 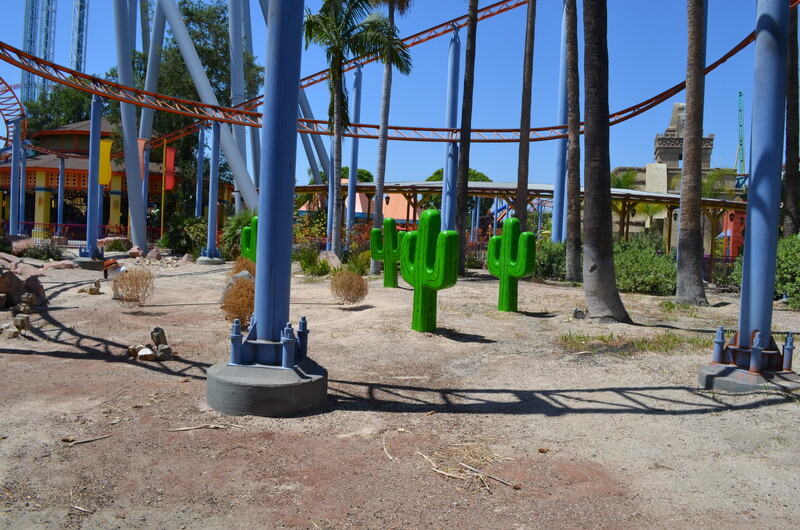 Hmmm, any guesses of what it could be?